This time last week, I was talking up the virtues of doing nothing on the plot during November, and how much I enjoy kicking back for a few weeks once the clocks change. Of course, there are still plenty of jobs you can be doing. One thing I like about this time of year is that none of the important winter jobs need take long. You’ve got a couple of months to get them done, so they can be completed at the plotholder’s leisure. Just how I like it. Plant out overwintering onions and garlic, and sow overwintering broad beans. Now is the time to get your overwintering onions and garlic sets planted. Don’t panic if you haven’t bought any yet –the traditionalists will tell you you’ve got until the longest day to get them in. November is also a good time for sowing overwintering broad beans. Round seeded, hardy peas are worth a go too. Runner beans require rich soil to thrive, so lots of plot holders will dig a runner bean trench and fill it with kitchen scraps, compost, manure or any old plants they’re finished with. This will rot down and make sure the runner bean plants get all the nutrients and trace elements, as well as help to keep moisture around the roots. Here’s Ailsa showing how it’s done. There’s something incredibly gratifying about a neatly dug over bed, but for me, the key to digging over beds is little and often. There’s no point knackering yourself trying to do a whole bed in one go, as ultimately there’s every chance you’ll end up hating it. For a few more tips on digging, try the Real Men Sow Guide to Digging Part 1. And if that’s not enough, check out Part 2. I always think it is a good idea to pull off any dieing or yellowy leaves from your brassicas. This helps with air circulation and lets new shoots grow through. Its not all about brassicas though – here are a few more tips for looking after common winter veg. With leaves still falling off the trees, now is the perfect time to bag a load up to make leaf mould. I I’ve found leaf mould to be a super for using as a soil improver, mulch and as part of a homemade potting mix. It’s really easy to make too: bag up the leaves, tie the neck loosely and make a few splits in the bag. Leave for a year or so, and hey presto, leaf mould! Here’s 10 reasons why I love leaf mould, from last year. Fruit bushes can be planted any time between November and February, but November is best as the soil is warmer. Fruit bushes are great things to grow in gardens and on allotments. Initially, the outlay can be quite expensive (especially if you buy 2 year old plants) but once established the return is high. If you’re looking to buy some fruit bushes for the plot, here are some things to look out for. 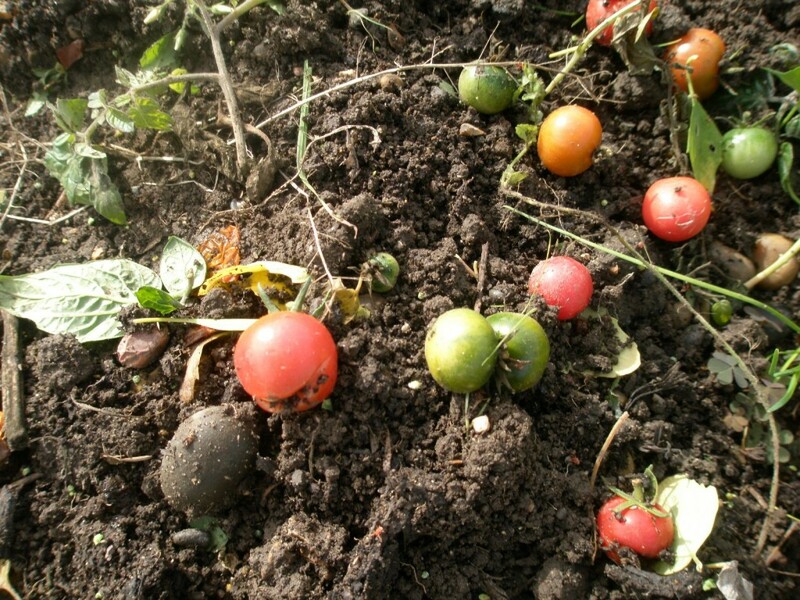 And here are a few pointers from a post I wrote last year about growing fruit on an allotment plot. Give any tools a decent scrub down with a wet rag and leave to dry in a warm place, like a utility room. This will prevent rust and prolong the life of the tool. Poor weather presents an opportunity to spend time in the shed checking stored crops, like squashes, apples and potatoes. Remove anything that is beginning to deteriorate or go soft. This will help stop the decay from spreading.